Convenience, Compassion, and Comprehensive Cancer Treatment Options. Welcome to knowledge that is changing the way the world fights cancer. The University of Alabama (UAB) Cancer Care Network was established by the UAB Comprehensive Cancer Center and UAB Medicine to enhance cancer services in the region by joining forces with community cancer centers to pursue high quality patient outcomes, improved access to early detection and treatment, and optimal patient satisfaction. 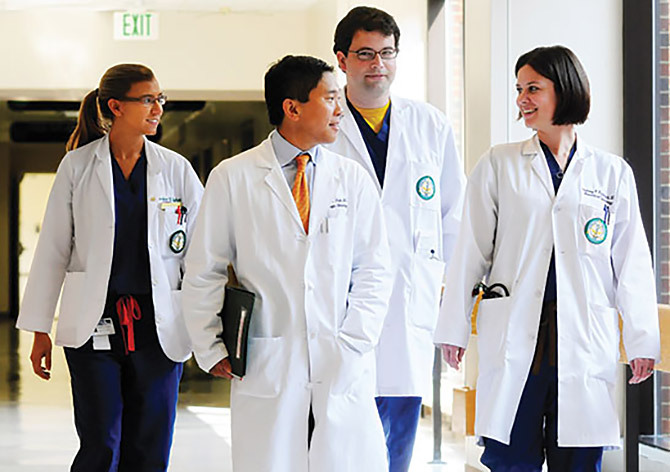 The UAB Cancer Care Network is an affiliation program with hospitals across Alabama, Florida, and Georgia that emphasizes collaboration between UAB and community physicians on evidence based guidelines for cancer treatment to patients in the local communities. Every day, UAB generates knowledge that changes the way the world fights cancer. And because we are an associate of the UAB Health System Cancer Community Network, that knowledge is shared with us. And then we put it to work for you, right here. To know more about all the benefits that this association brings to Marshall County, call 256.894.6750 or visit UAB Medicine. The Closer To Home Paver Campaign is a great way for individuals, families, businesses and civic organizations to be an integral part of this landmark facility. Providing help through a very dark place in life.